Hydrocodone (or oxycodone) is an extreme pain relief drug. It is classified as a narcotic analgesic. 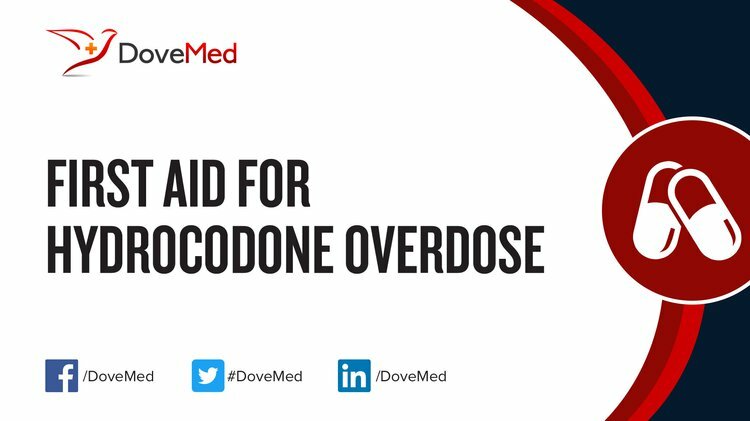 Hydrocodone (Oxycodone) Overdose is the accidental or intentional intake of the drug in dosage higher than prescribed values. What is Hydrocodone (Oxycodone) Overdose? What are the Causes of Hydrocodone (Oxycodone) Overdose? Note: The drug can interact with other prescribed or non-prescribed medications in the body. Such interactions may enhance the therapeutic effects of the drug or other medications being taken, resulting in undesired side effects (such as an overdose). What are the Signs and Symptoms of Hydrocodone (Oxycodone) Overdose? The signs and symptoms of Hydrocodone (Oxycodone) Overdose can vary from one individual to another. It may be mild in some and severe in others. Several systems of the body, such as the digestive system, nervous system, vascular system, respiratory system, skin and ENT may be affected. How is First Aid administered for Hydrocodone (Oxycodone) Overdose? Who should administer First Aid for Hydrocodone (Oxycodone) Overdose? First aid for Hydrocodone (Oxycodone) Overdose is administered by healthcare professionals. What is the Prognosis of Hydrocodone (Oxycodone) Overdose? In general, overdoses are common situations in the emergency departments. A majority of the cases are often not fatal, when appropriate treatment is given. How can Hydrocodone (Oxycodone) Overdose be Prevented? It is important to give your healthcare provider a complete list of prescription and non-prescription medications that are being currently taken. This will help them in assessing the possible drug interactions within various medications and help avoid/prevent accidental or unintentional toxic drug effects. What are certain Crucial Steps to be followed? Paulozzi, L. J. (2012). Prescription drug overdoses: a review. Journal of safety research, 43(4), 283-289. Johnson, H., Paulozzi, L., Porucznik, C., Mack, K., & Herter, B. (2014). Decline in drug overdose deaths after state policy changes—Florida, 2010–2012. MMWR Morb Mortal Wkly Rep, 63(26), 569-574. Rudd, R. A., Aleshire, N., Zibbell, J. E., & Matthew Gladden, R. (2016). Increases in drug and opioid overdose deaths—United States, 2000–2014. American Journal of Transplantation, 16(4), 1323-1327. Madadi, P., Hildebrandt, D., Gong, I. Y., Schwarz, U. I., Ciszkowski, C., Ross, C. J., ... & Koren, G. (2010). Fatal hydrocodone overdose in a child: pharmacogenetics and drug interactions. Pediatrics, 126(4), e986-e989. Kenan, K., Mack, K., & Paulozzi, L. (2012). Trends in prescriptions for oxycodone and other commonly used opioids in the United States, 2000–2010. Open Med, 6(2), e41-e47. Larochelle, M. R., Zhang, F., Ross-Degnan, D., & Wharam, J. F. (2015). Rates of opioid dispensing and overdose after introduction of abuse-deterrent extended-release oxycodone and withdrawal of propoxyphene. JAMA internal medicine, 175(6), 978-987. Cicero, T. J., Ellis, M. S., Surratt, H. L., & Kurtz, S. P. (2013). Factors influencing the selection of hydrocodone and oxycodone as primary opioids in substance abusers seeking treatment in the United States. PAIN®, 154(12), 2639-2648. Rodgers, J., Cunningham, K., Fitzgerald, K., & Finnerty, E. (2012). Opioid consumption following outpatient upper extremity surgery. The Journal of hand surgery, 37(4), 645-650.